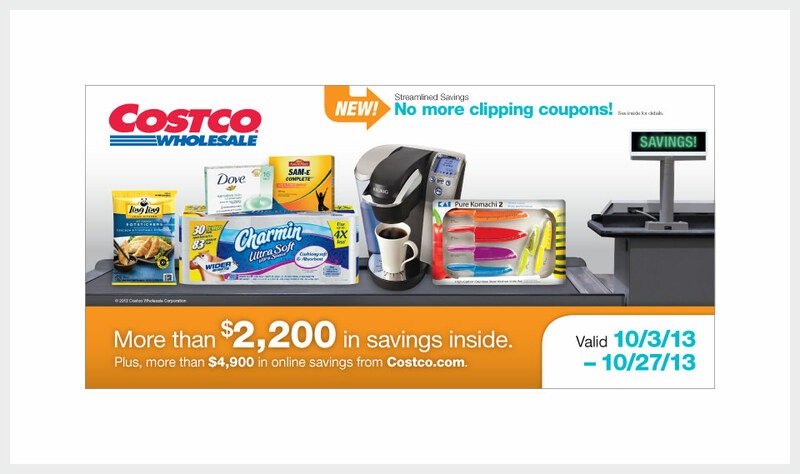 Costco’s promotional pieces, in conjunction with its marketing and advertising efforts, are designed to help make members aware of special sales events and promotions. These include seasonal promotions as well as the monthly multi-vendor mailer containing items available at specially discounted prices for a limited time. 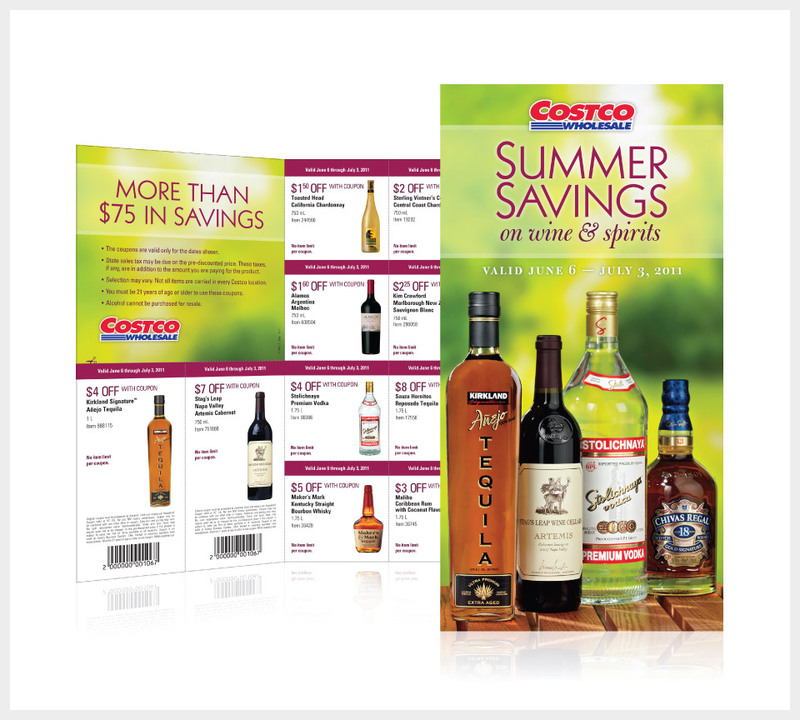 The following examples show a selection of work designed for Costco promotional efforts. The design of this wine and spirits promotional flyer captures the season of summer by depicting the product in an outdoor setting and uses a red-violet color to complement the warm greens and reflect the color of wine. The design of this multi-vendor mailer features products for the current month’s promotion arranged as if on a checkout stand.